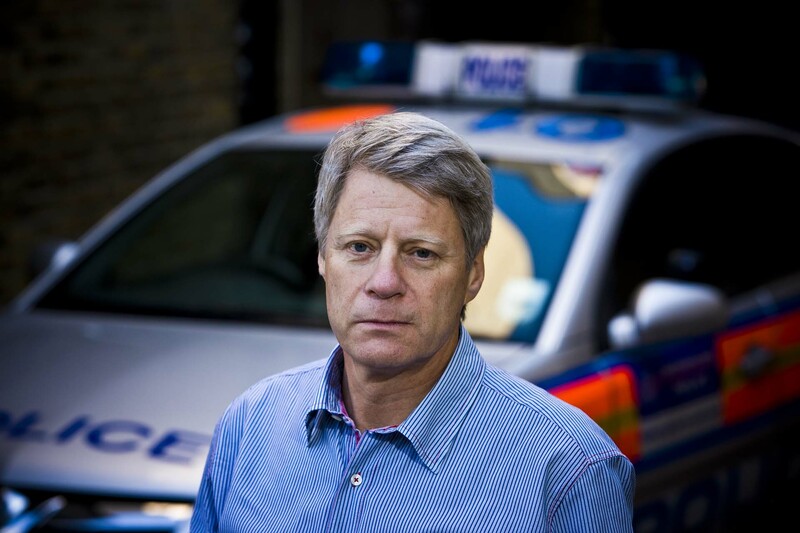 Nick Ross is best-known as a broadcaster and journalist and some of his campaigns were inspired by the issues he reported on, such as the troubles in Northern Ireland, road accidents and, most widely recognised, his work on crime prevention. But away from the cameras and microphones his abiding passions have been healthcare and bioethics along with a wider commitment to community safety and evidence-based public policy. Subsequently he was invited to be a lay member of a King’s Fund Consensus Panel on the treatment of breast cancer, an initiative that helped transform clinical practice, shook his faith in experience-based medicine and cemented his interest in evidence-based treatments – and eventually evidence-based policy in general. He became increasingly involved with healthcare and was appointed to the Clothier Committee to consider whether the UK should adopt gene therapy, and then to GTAC, the body set up after Clothier to regulate clinical practice and research. He was thereafter recruited to other advisory roles including two national NHS review teams, and chaired conferences for the NHS chief executive, Nigel Crisp, and for the head of the National Institute for Health Research, Sally Davies. Ross served two terms on the Nuffield Council on Bioethics, was appointed to several other national ethics committees and review bodies and remains the longest-serving member of the RCP’s ethics committee. He chairs the advisory board for the Wales Cancer Bank and is a non-executive director of Imperial NHS Healthcare Trust. His growing concern about the poor evidence base of medicine was paired with a mounting anxiety about the gap between healthcare expectations and resources. In the 1990s, along with Simon Stevens, Richard Smith and Alasdair Liddell, Nick Ross was a founder of the Rationing Agenda Group which set out the model for explicit healthcare rationing which was later developed into the National Institute for Clinical Excellence. NICE has become a model around the world for prudent resource management. He remains active in challenging the mismatch between the reality of available resources and almost limitless demand, insisting that managing expectations is almost as important as developing capabilities and improving productivity. Ross has been more directly involved in health audit, including medical safety, as a non-executive director of HQS, the Health Quality Service, until it merged with the global healthcare consultants, Dr Foster. He also co-founded HealthWatch, inspired by the oncologist Prof Michael Baum. HealthWatch is a charity which exposes quackery and campaigns for orthodox treatments to be tested. And as part of Iain Chalmers’ campaigns for better evidence Ross coined the term ‘fair tests’ for RCTs which has since been adopted by the James Lind Initiative and others. His profile as a journalist and broadcaster provided the opportunity to be involved in other medical challenges over the years, for example: to reduce tranquiliser use among women, to improve treatment of chronic pain, in support of the Defeat Depression Campaign, as President of SANEline, and with other, mostly Cinderella, healthcare charities. He runs an annual seminar on evidence for first-year medics at UCL and is a trustee of the UK Stem Cell Foundation. He is a Life Fellow of the RSM and was last year appointed an Honorary Fellow of the Royal College of Physicians. His 23-year stint as presenter of the BBC’s Crimewatch was a more obvious focus for his interest. He saw in crime a parallel with his experience of some aspects of medicine where entrenched and long-established approaches appeared to lack a proper scientific basis. He coined the term “crime science” to forge a distinct multidisciplinary approach to cutting crime and created a national campaign which raised £1m to create the Jill Dando Institute of Crime Science which chose UCL to be its home. The JDI has grown into UCL’s Department of Security and Crime Science where Nick chairs the Board and is a visiting professor and an Honorary Fellow of UCL. He lectures frequently on the parallels between medicine and crime prevention and in 2013 published Crime: how to solve it and why so much of what we’re told is wrong. His experience with crime and policing led to his recruitment by fire chiefs to reassess strategies to preventing fire deaths and he helped with a campaign (successful in Wales but not so far in England) to have sprinklers fitted to all social housing. He has had a long association with science promotion, and back in 1993 an article he wrote criticising coverage of science was taken up by the Daily Telegraph and led to a debate culminating in the BBC’s Director General inviting Ross to lead a seminar on the issue, a discussion that has been repeated in different forms on several occasions since. He has campaigned against pseudoscience and scientific illiteracy and as a trustee of Sense About Science he set up a group within the organisation called Evidence Matters which is shortly to launch a campaign for evidence-based public policy in general. Ross conceived t he new discipline of Crime Science and inspired and founded the Jill Dando Institute of Crime Science at University College London, where he is chairman of the board. He is an Honorary Fellow of UCL and of the (American) Academy of Experimental Criminology, and author of ‘Crime, how to solve it and why so much of what we’re told is wrong‘. After years presenting a TV show on crime Nick Ross was disappointed at the failure of criminology to stem crime and sought more practical and scientifically robust ways to cut victimisation. He was one of the first to point out that crime began to fall from the 1990s onwards – an issue now generally accepted but which was highly controversial until recently. He was also one of the first to explain why the tide of crime had turned. In 1995 he coined the term Crime Science to mark out a new multidisciplinary and evidence-based focus on crime reduction*. He was influential in the earliest national adoption of targets to reduce crime and in particular to cut car crime where he led an initiative involving the Department of Transport and the DVLA to reform vehicle registration procedures. In 2000 he gave the Police Foundation Lecture jointly with the then Metropolitan Police Commissioner, Sir John (now Lord) Stevens, urging an evidence-based approach to crime policy instead of what he described as ‘political wheezes’. He worked with the EC and others to establish a new business-led campaign against crime. He has been a member of several government inquiries on crime, as well as an adviser to Victim Support and to official reviews on crime statistics and of the future of forensics. He is a regular speaker and adviser on crime reduction, terrorism and security, including a keynote addresses to the annual conference of the Association of Chief Police Officers and to successive Cumberland Lodge National Policing Conference. He He authored the crime prevention section of the Government Chief Scientist’s 2015 annual report, summarised by Sir Mark Walport as, “a straightforward way of using inducements to civil behaviour”. He is a Trustee of Crimestoppers. *Crime science is less concerned with political theory, criminal justice or redemption of people than with demonstrably effective and measurable ways of reducing victimisation. Most epidemics and cuts in crime are explained by changing circumstances in which individuals find themselves rather than by moves to re-engineer people or society, so while Crime Science embraces police training, detection methods and forensic science it finds most leverage in improving security by rethinking products, services or policies so as to design out unnecessary temptations and opportunities for crime. For more, see Crime and Crime Science. Through his membership of a consensus conference which helped change breast cancer treatment Nick Ross became progressively more involved with health policy, notably in bioethics and promoting evidence-based medicine and open decision-making about healthcare spending. He is an Honorary Fellow of the Royal College of Physicians and a Life Member of the Royal Society of Medicine. He championed explicit rationing in the NHS (Simon Stevens, chief executive of NHS England, traces the foundation of NICE – the National Institute for Health and Care Excellence – to a meeting in Ross’s home in the early 1990s) and was a member of the NHS National Plan Taskforce, of the Clothier Committee which first authorised gene therapy in the UK, and of the subsequent Gene Therapy Advisory Committee which is now part of the National Research Ethics Service. He served for seven years on the Nuffield Council on Bioethics, was a member of the Academy of Medical Sciences inquiry into the use of non-human primates in research, and a Director of the Health Quality Service until it merged with Dr Foster. He currently sits on other medical and ethics boards including that of the Royal College of Physicians and is Chairman of the Wales Cancer Bank Advisory Board. He is President of HealthWatch and is involved in promoting medical research and especially clinical trials (see www.lindalliance.org), challenging orthodox and “alternative” treatments which cannot be shown to be effective, and advancing the cause of accountability and transparency in prioritising healthcare. He coined the term “fair tests” which has been gaining favour as a straightforward and accessible name for randomised controlled trials. He has chaired many meetings for the BMA, DH and NHS as well as international meetings of specialist clinicians in varied fields such rheumatology, allergology, paediatric endocrinology and health informatics, and was a guest at WISE, the world healthcare leadership forum in Doha in 2013. Nick Ross is a Trustee of Sense About Science, is a regular speaker at science meetings and was a founder-supporter of the Campbell Collaboration, the international partnership to improve scientific methodology in the social sciences. He helped to change the climate of science reporting in the early 90s with an influential series of articles critical of media portrayal of science. He has been a member of the Committee on Public Understanding of Science and of several advisory boards such as the Societal Issues Panel for the Engineering & Physical Sciences Research Council. He was Guest Director of the Cheltenham Science Festival, the largest public science meeting in the world and has twice been chairman of the Royal Society Science Book Prize. He founded the new discipline of Crime Science at University College London where he is an honorary fellow and visiting professor. In 2013 he inspired an initiative to promote evidence-based public policy along with (Baroness) Onora O’Neill, (Lord) Ara Darzi, Jeremy Hardie and others. In the 1 990s Ross was invited by fire chiefs and fire industry experts to advise on a campaign for reducing death and injury through fire in the UK. He compiled new and ambitious new targets for fire safety which were adopted by FOBFO (the body that represents the UK’s Fire Organisations) and CFOA (the Chief Fire Officers Association), and won the backing of the Local Government Association. He has campaigned for the introduction of automatic fire suppression (such as sprinklers) to new homes and especially social housing; and Scotland and Wales have both since adopted these policies. Recent fatalities in tower blocks and in arson attacks, one claiming the lives of six children, has added momentum to a campaign to persuade Westminster to give more emphasis to sprinklers. Meanwhile Nick has proposed the development of a radical new approach which would use existing plumbing to power sprinkler-heads and bring the cost of installation in new build to around £600 per dwelling. In 2013 the first domestic installations costing less than £800 were fitted in Derbyshire. In the 1980s Nick Ross produced and directed a hugely influential and much-repeated TV inquiry, The biggest Epidemic of Our Times, which was widely credited with transforming public attitudes and public policy. Three decades later a BBC science series described it as the broadcast that ‘would transform road safety’ and which ‘lead to an historic victory in the struggle to save lives’ (Dallas Campbell, A Horizon Guide to Car Crashes, BBC4, 9pm, 21 October 2013). Ross’s subsequent political campaigning was similarly forceful. According to one commentator the effects of his lobbying were so profound that, “in significant consequence British mortality rates of people under 50 are among the lowest in the world” (Morgan, Adam, “Eating The Big Fish”, Wiley, London, 2009, pp134-136). The most notable achievement was when roads minister Peter Bottomley formally accepted Ross’s challenge to set challenging government targets to cut fatalities (the first of which was a one-third cut to 4,000 deaths by the year 2000). Others also signed up to the idea of targets including the Institute of Highway Engineers. Ross was invited to chair RoSPA’s National Road Safety Committee. Road deaths plummeted to 3,500 by the turn of the millennium, almost half the average for the previous half century and the lowest since records began. By 2012 fatalities were down to 1,754, the lowest level since records began in 1926. However, the government abandoned targets in 2011; it remains to be seen whether the downward trend in road victims will be maintained. Ross presented a long-running peak-time series So You Think You’re a Good Driver on BBC One and has maintained an interest in road safety. He is a Vice President of the Institute of Advanced Motorists and President of the London Road Safety Council. To download a higher-res version click here. We Shall Overcome – Nick Ross’s award-winning and very personal account of the violence in Northern Ireland. Nick Ross was a student leader and civil rights campaigner in the late 1960s, reported from the Province through much of the 1970s and continues to have an interest in Northern Ireland affairs. Take a look through the broadcasting section to find out more about this, and Nick’s other television and radio work. In 2002 he was awarded an honorary doctorate from Queen’s University Belfast. He is a Fellow of the World Wildlife Fund, served two terms (2004-2011) as a WWF Ambassador, and is an Honorary Member of Population Matters. In past years Ross worked on conjunction with the Foreign & Commonwealth Office on environmental issues in British Overseas Territories. Nick Ross has long challenged some of the orthodoxies of public service broadcasting (see Sunday Telegraph, 29 December 2013). He has chaired meetings between the Ofcom Content Board and broadcasters, organised by the Voice of the Listener & Viewer, and five years before the Burns Inquiry reached similar conclusions he warned that reliance on a licence fee would progressively reduce the BBC’s reach and influence. While electronic media are growing at a colossal rate the BBC’s income would be static at best, leading to marginalisation. Worse still, in a multichannel environment the licence fee would eventually lose public and political support. Accordingly those concerned for the welfare of public service broadcasting must look for new ways of raising revenue, especially subscription, and that the BBC should have a greater focus on areas of market failure. The RSA first published his proposals in 2002. By 2008 an IpsosMori poll showed (in contrast to the BBC’s own polling) that almost as many Britons opposed the licence fee as supported it, in 2009 the BBC’s Director General conceded that the licence fee could seem anachronistic and might need to be replaced, and in 2013 Roger Mosey, the BBC’s outgoing editorial director, agreed, suggesting that the licence fee might be shared more widely to promote greater quality and diversity. Ross proposed instead that at the next Charter renewal in 2017 the licence fee should be increased in line with inflation and the BBC should be given ten years (up to the following Charter deadline of 2027) to migrate to self-funding. In February 2014 Nick Ross presented his approach at Civitas and the following month The Sunday Times claimed that BBC officials were privately warming to the idea, though the Corporation swiftly repudiated the report and in June 2014 addressed an RTS seminar in the House of Commons. Ross has warned that in the long run Channel 4 and even ITV are vulnerable if they rely too heavily on real-time advertising.